Just Jingle: Because it's a Kite. And a Shaker. It's a SHAKER Kite! Because it's a Kite. And a Shaker. It's a SHAKER Kite! Yup. It's a shaker kite. And that, my friends, is reason enough. 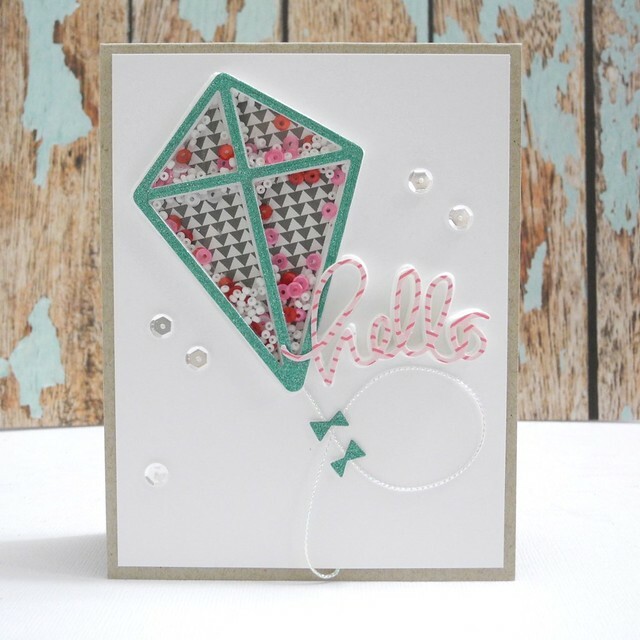 For reals, though, I totally am loving this new die set from Simon Says Stamp's Hop To It release! I pulled out the fun foam for this one. I find that for shaped shakers it is really easier to use a couple of layers of fun foam than trying to do tape all the way around the image. AND...the dies cut through the foam like buttah! Easy peasy, my friends! I filled this one with seed beads and sequins from Pretty Pink Posh for a little bit of a different look. I kind of love the mix. And now I need more seed beads. Obviously. If you haven't tried the fun shaker dies from Simon Says Stamp yet,you really must check them out! I think you will love them! This is fab. FOUR chambers of shakey goodness! Absolutely LOVE this shaker card!! 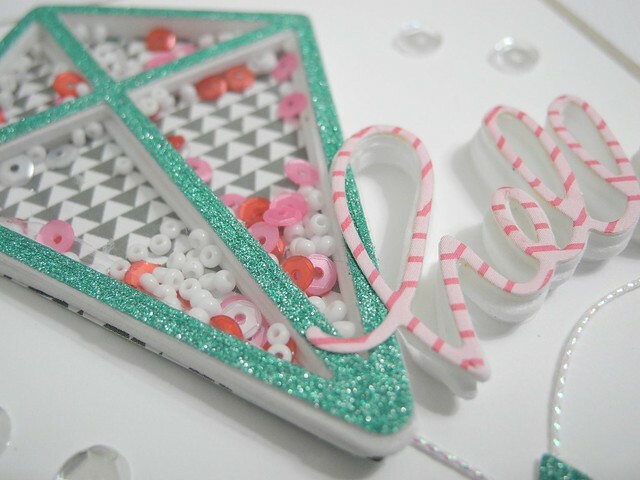 And I've been reaching for my craft foam as well, makes creating shaker cards soooo much easier! Cute card! What do you use to adhere everything together for the shaker part without the sequins/beads sticking to the sides? SUPER fun!!!! Oh, I love it!! FUN & SERIOUSLY AWESOME card - LOVE IT!!! Super fun shaker card idea and design. Oh my goodness!! This is adorable! I I love the kite!! The shaker is soooooo fun!! I love the seed bead/sequin mix!!! Awesome! !